"1945 flag ceremony at T.C. 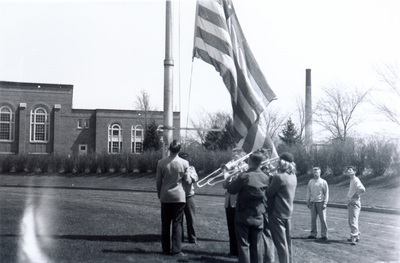 relays"
"1945 flag ceremony at T.C. relays" (2019). UNI Panther Athletics. 189.